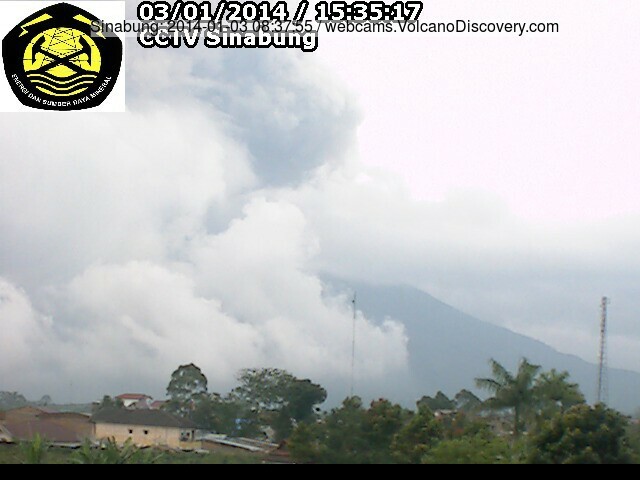 Sinabung (Sumatra, Indonesia): More explosions (and probably pyroclastic flows) occurred this morning. An ash plume rose to estimated 24,000 ft (7.3 km) altitude. Erta Ale (Ethiopia): The level of Erta Ale's active lava lake in the southern pit crater has risen considerably during recent months and is now only about 5-10 m below the rim in some places. Check out some new pictures here.